I had never been here before. The excitement of the new sprung out at me and I sprung back. 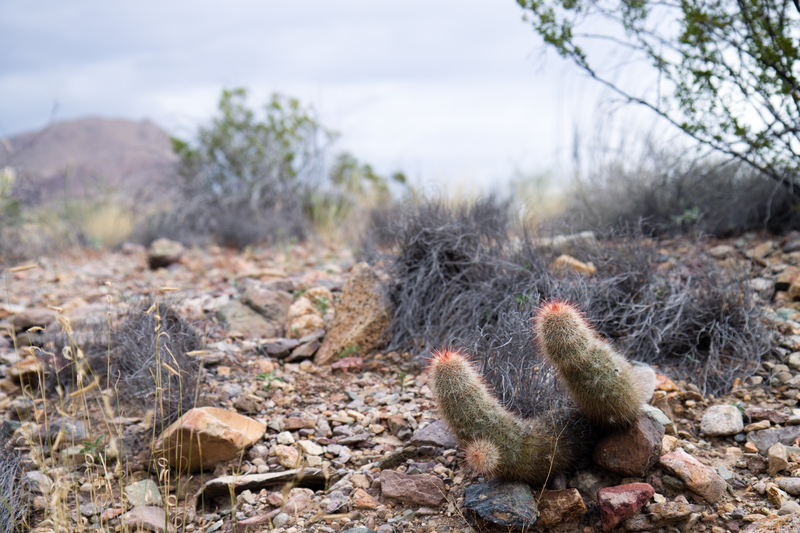 And a rabbit sprung near me as I plunged down a hill, exclaiming at each new variety of cacti that I saw. The sun was strong and light and in the distance the cliffs of Sierra del Carmen rose above the border. 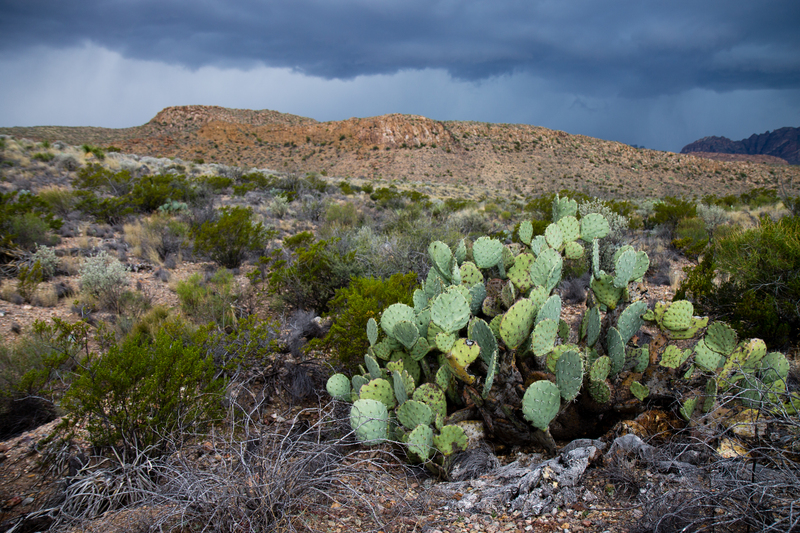 The cacti distracted me from the greyness approaching, but then I felt a raindrop in the desert. And another. And I covered my camera with my arms as best I could and galloped back up the hill toward our vehicles as the drops became steady and hard. 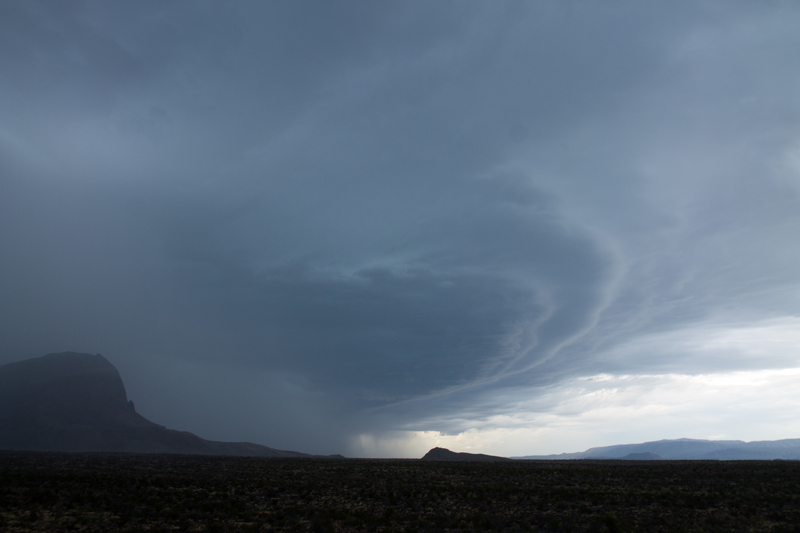 We huddled in one of our cars as the steely blue sky swirled above us, and the wind rocked us, and the rain pelted the windows – and me, when I jumped outside to snap more photos and document, and feel, the turmoil. Change is gradual, but it is perceived at a threshold, and hits us suddenly. The sky had been darkening, but I only saw the storm when the drops came. 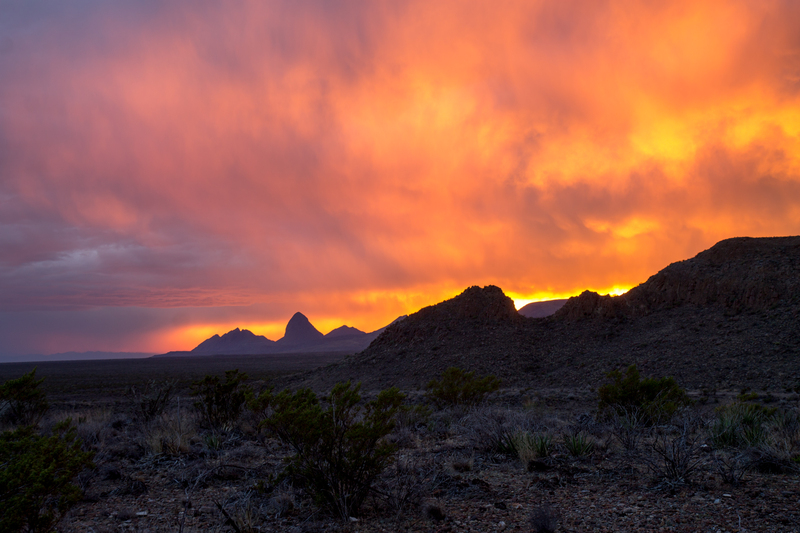 Not long after, the rain eased back, the swirl in the clouds dissipated, and the sun began to set, sparking the sky alight with a new color palate. The shock was still in the air but things were steady again as the night, gradually, fell. What a stunning post. And magical pics. Oh wow. Sublime photos. 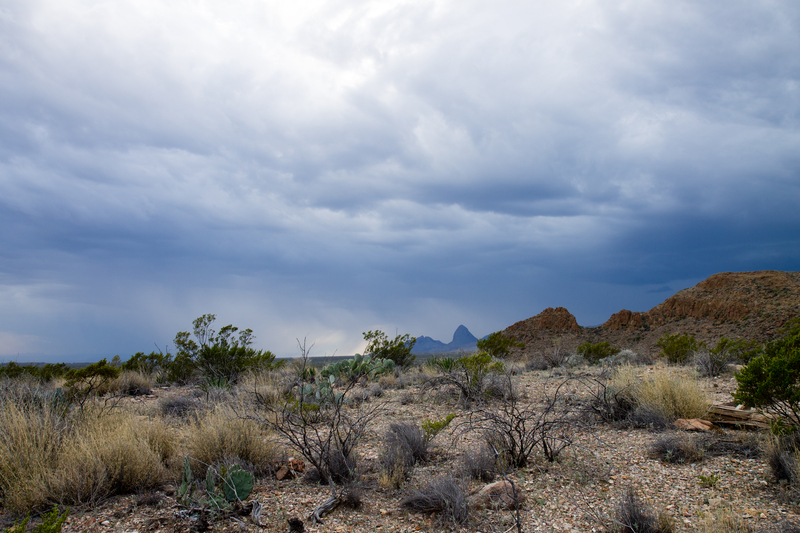 Storms in the desert are pure magic. Thanks! And they are. 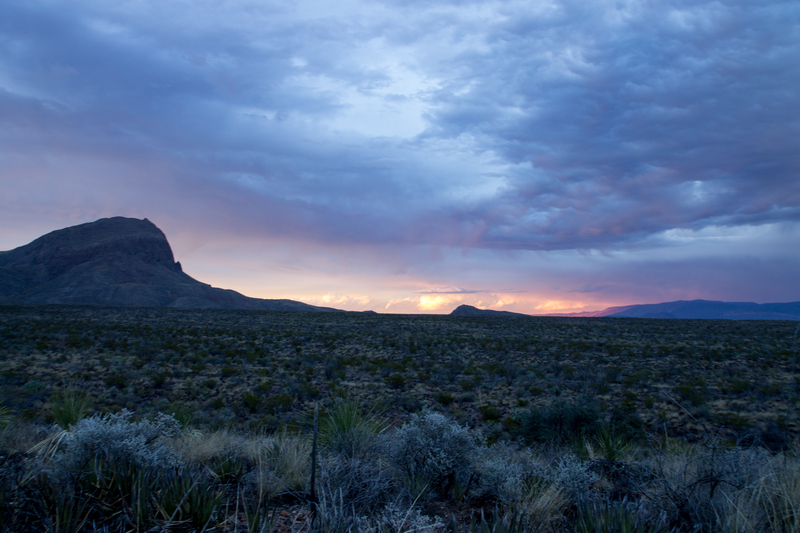 It was a stunning introduction to Big Bend. Thanks! I have an entry-level DSLR, a Canon Rebel T3. But, to be honest, you can have the nicest camera and still take poor photos. Conversely, you can have a not so advanced camera and take great photos. More important is the knowledge of how to manipulate the tool you have, self-editing, and developing your own eye for things. I just discovered your blog and I love it! I’m normally a forest and big city explorer so the virtual hike through the desert was a welcome treat. Love you photos as well. Looking forward to following! Lovely to hear, thanks so much! 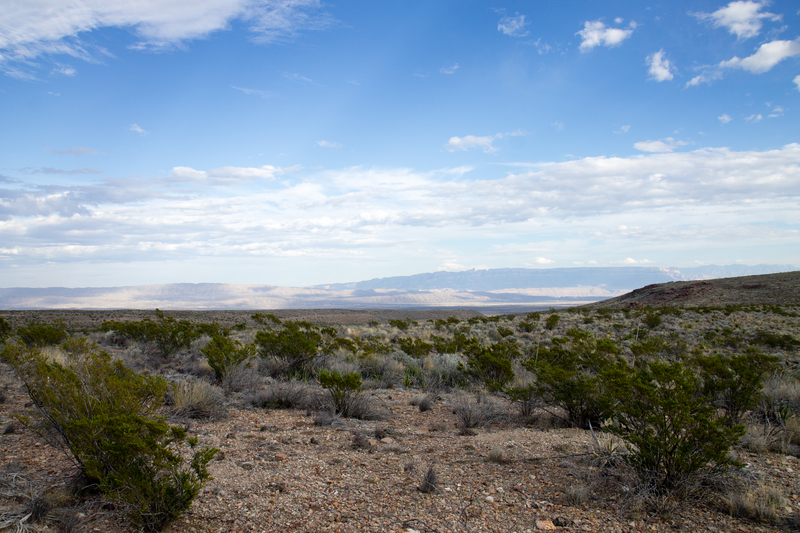 I tend toward forests too, especially given where I’m based, but deserts are pretty cool too.